Can you confirm these amateur observations of Carlia tutela? 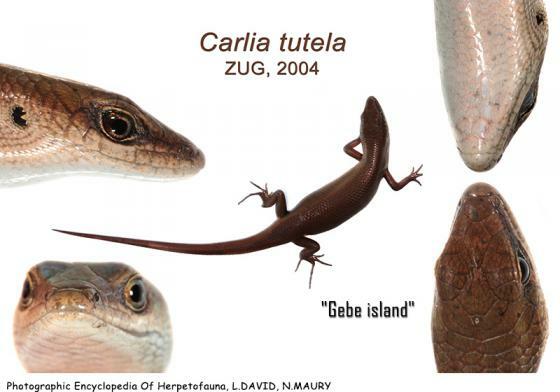 Comment Carla tutela is endemic to Halmahera and was once thought to have been introduced to Guam but those populations are genetically similar to Carla ailanpa- lai which is endemic to the Admiralty Archipelago and may have been introduced to Guam during WWII (Austin et al. 2011). Etymology Named after the Latin “tutela”, meaning defense or guard and was proposed to honor the men and women who served in the defense of New Guinea and the Moluccas during WWII.